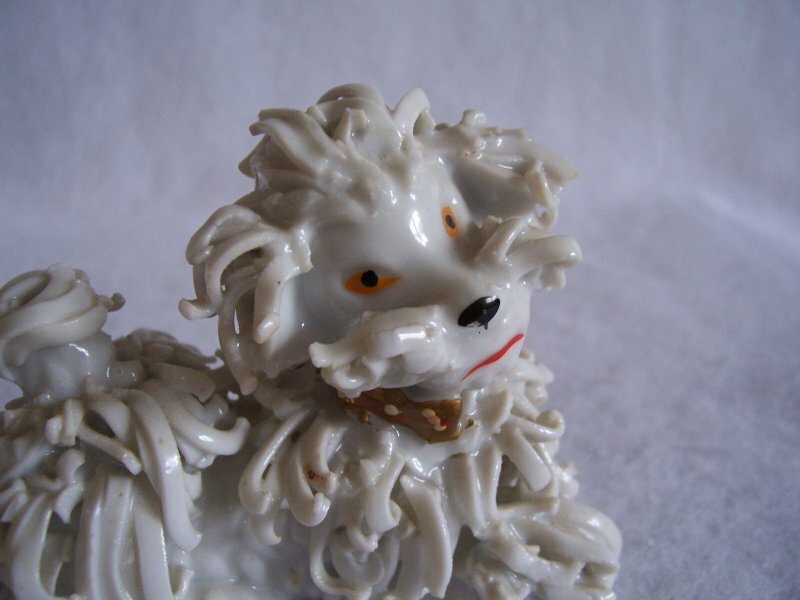 Vintage spaghetti white poodle figurine. Most likely made in Japan in the 1950s. 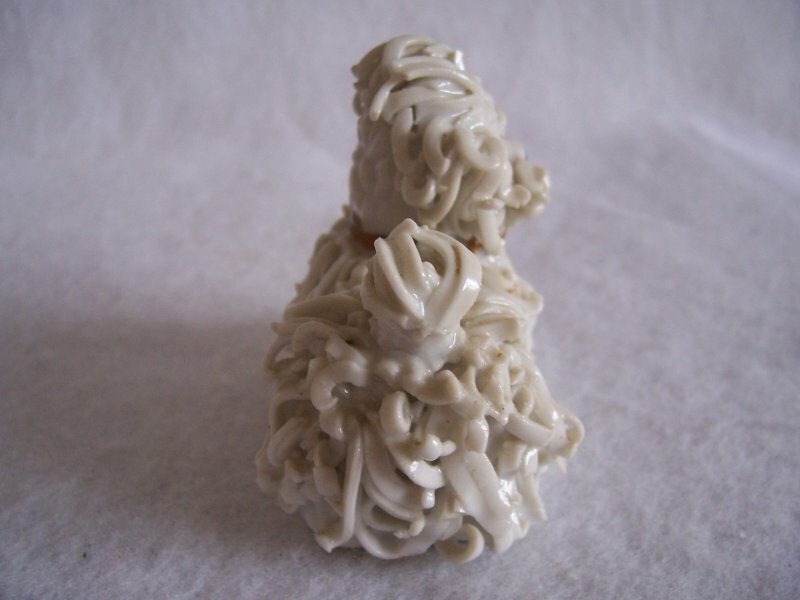 Figurine is in good used condition with no loss of the spaghetti, and there are no cracks or chips. The bottom is faintly marked 59/166. 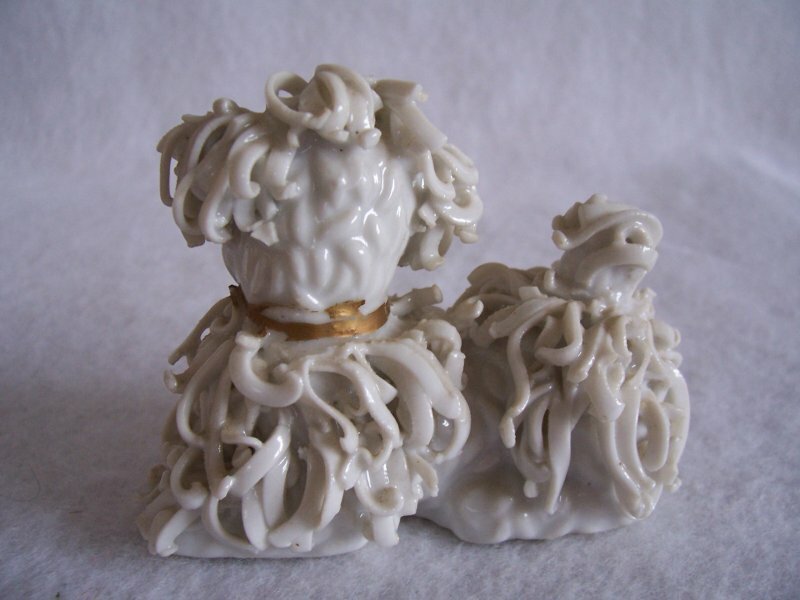 Poodle measures 2 1/2 inches tall x 3 1/4 inches wide x 1 3/4 inches deep. 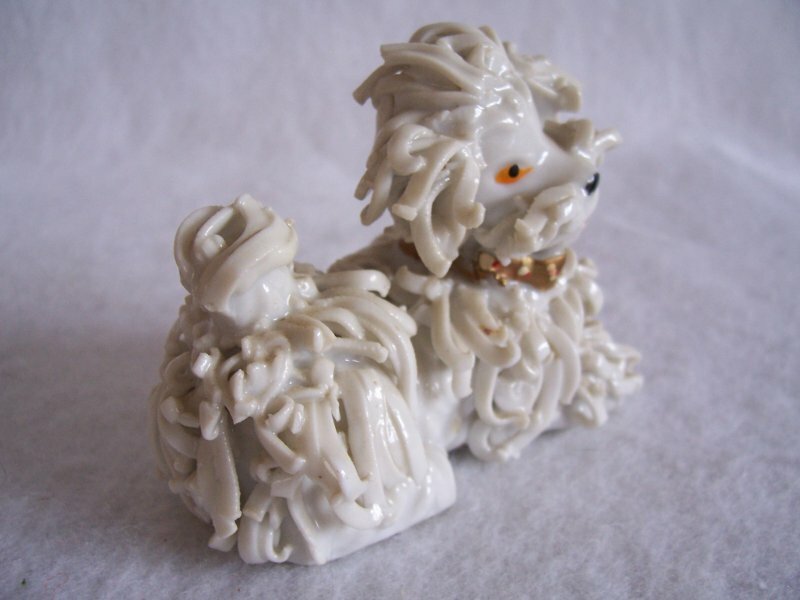 Vintage spaghetti white poodle figurine. 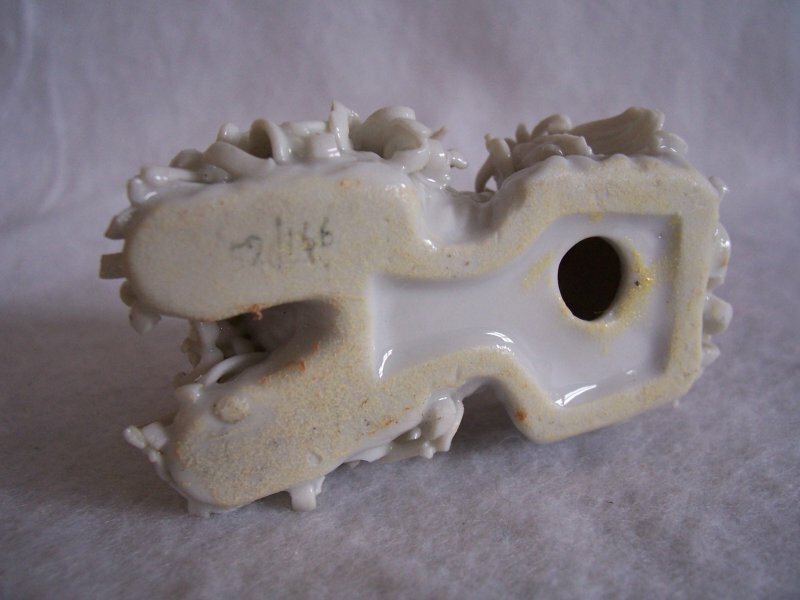 Most likely made in Japan in the 1950s. 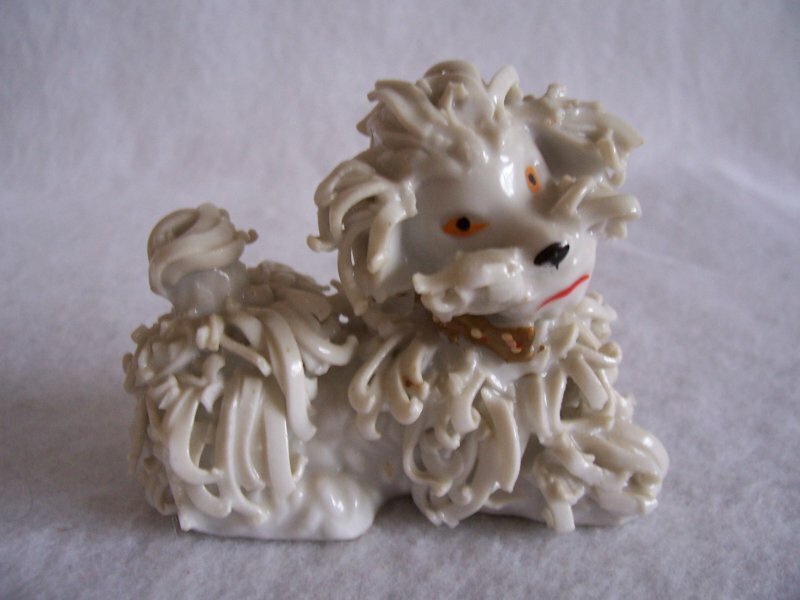 The poodle is white and wears a gold collar with a bow and has a couple of red and yellow dots. Figurine is in good used condition with no loss of the spaghetti, and there are no cracks or chips. The bottom is faintly marked 59/166. 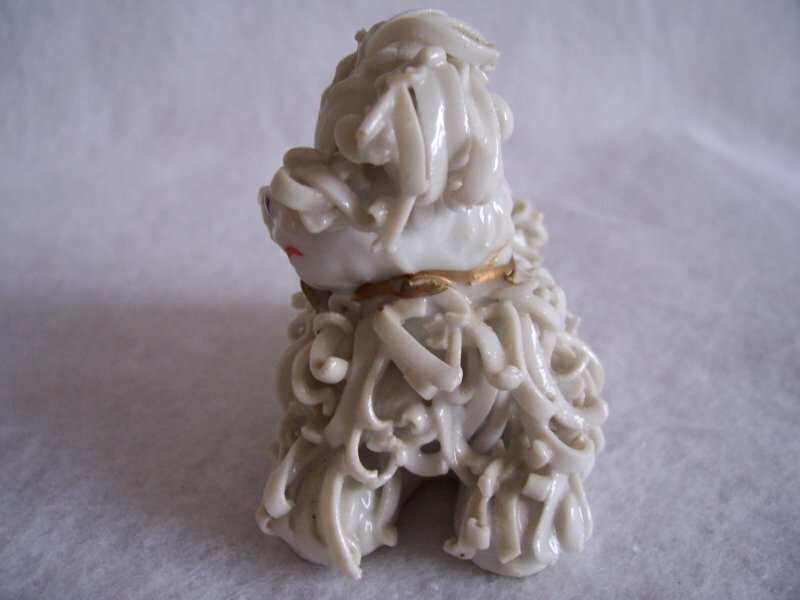 Poodle measures 2 1/2 inches tall x 3 1/4 inches wide x 1 3/4 inches deep.